Bronx River House represents the Bronx in Achtober's special May preview. Tour the building on May 17 at 11:00. The USDA is hosting a conference on Innovation and Design in Vertical Agriculture & Sustainable Urban Ecosystems in Washington D.C.. Greg Kiss will present. Waterfront Alliance announces Starlight Park is one of the first projects certified under the Waterfront Edge Design Guidlines! See the WEDG site, and video from the event at the Center for Architecture (Riverhouse details around 37 minutes in). Zero Waste Design Guidelines launched! See the AIA NewYork webiste. A collaboration with the Center for Architecture, with support from the Rockefeller Foundation. Link to the guidelines here. More to come! NY1 has a story on Bronx River House! Video here. Greg Kiss gave a talk on Productive Architecture at Robert A. M. Stern Architects, who were gracious enough to share the video here. Clare Miflin is an organizer of an ambitious project to develop Design Guidelines for Zero Waste, a resource for building managers and designers, in support of New York City’s OneNYC plan to eliminate waste to landfills by 2030. A collaboration with the Center for Architecture, with support from the Rockefeller Foundation. ArchDaily has named Bushwick Inlet Park one of the 100 Top projects in the US! Double Feature! Clare Miflin on sustainabilityand biomimicry in episode 22 (Clare-ity of thought) of the Urban Agriculture podcast. Dickson Despommier and Vincent Raciniello interview Greg in - Kiss + Tell - episode 21 of their Urban Agriculture podcast. The Vertical City Podcast series features Gregory Kiss in episode 2, on questions of energy, food, and economic and social sustainability. See also the Vertical City project home page. Bronx River Alliance honors Kiss + Cathcart at their 2015 Upstream Soirée! Zero Waste: The Organics Factor. A panel at Urban Green moderated by Clare Miflin, 6-8pm. Towards 2050 - The Challenge for Tall Buildings, presentation by Craig Gibbons, Global Structural Engineering Leader at Arup, at the Council on Tall Buildings and Urban Habitat 2014 Shanghai conference. Features the 2050 Tower as a case study. Vertical City: A Solution for Sustainable Living, a visionary look at future urbanism by Kenneth King and Kellogg Wong, is introduced on Kickstarter. Includes K+C's work - see the video. Groundbreaking ceremony at Bronx River House! 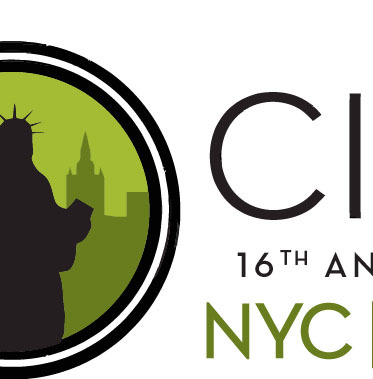 NY14 Passive House Conference Metropolitan Pavilion, 125 West 18th Street New York, NY. Gregory kiss is moderating the panel: The Energy Puzzle: Passive House, Renewable Energy and a Decarbonized Grid. Bushwick Inlet Park is a winner of the AIA Committee on the Environment 2014 Top Ten Green Projects Awards! The Open Space Alliance for North Brooklyn is honoring K+C with its design award for Bushwick Inlet Park at their 2014 Spring Gala. Water Blues, Green Solutions. Preview of a film by Penn State Public Media for PBS about water-related environmental issues. Case studies include Bronx River House. Preview screening event March 20, 6:30pm at the Arsenal (Parks Headquarters) in Central Park, New York, followed by a panel discussion including Gregory Kiss, moderated by Majora Carter. Public Seminar at Rutgers University Department of Environmental Sciences: The 2050 Tower: and the Self-Sustaining Urban Future. Presentation by Gregory Kiss, Krisitna Moores, and Mahadev Raman (Arup), 2:30 pm. Kickoff Ceremony for the PS 84 greenhouse. Thanks to supporters, elected officials, and announcement of construction. Read about it in the NY Daily News. NY13 Passive House Symposium City College of New York, The Bernard & Anne Spitzer School of Architecture. Greg is on two panels. American Society of Landscape Architects awards show opening, Center for Architecture, 6:30 - 8:30p. Bushwick Inlet Park is a winner for Starr Whitehouse. The BQE Enhancement Project is on display in Currents in Green Infrastructure: Designs for a Sustainable New York City at the Horticultural Society of New York from April 4 to 30, on behalf of Starr Whitehouse. Colin Cathcart Lectures at Ryerson University's lecture series "Matter". New : Metropolitan sustainability: Understanding and improving the urban environment, Woodhead Publishing. Chapter: Solar energy in the built environment: powering the sustainable City by Gregory Kiss. At the Knoll showroom, 75 9th Avenue: Growing Buildings: A Practitioner's Approach To Urban Agriculture. Greg Kiss joins the panel. 6-8pm. Farming our Future: Diversity and Design Ingenuity in NYC Urban Agriculture. A panel including Colin Cathcart. TEDx Youth. Discovering Sustainability Science at the Manhattan School for Children. Greg is a speaker. See video here. Partnerships and Competition in the Building Integrated PV Market. Greg Kiss on panel, presented by Agrion - live at the Markle Foundation, Rockefeller Center, and streaming. Buildings = Energy: Design for a Change. Symposium at the AIA Center for Architecture, NYC. Colin Cathcart joins the panel. Autotropholis: Toward Self-Sustaining Architecture and Urbanism. Lecture at the University of Hawaii School of Architecture by Greg Kiss. Energy & Sustainability 2011, University of Delaware, Newark. Opening day presentation by Greg Kiss. A Tree Grows in Brooklyn: A Green Roof & Urban Agriculture Panel, with Clare Miflin, at GreenBuilding 2011. CNN Earth's Frontiers has a piece on urban agriculture featuring PS333 and the 2020 Tower. The BQE Enhancement project featured in Curbed Awards '10: Adventures in Urban Planning. The Greenhouse Project at PS 333 opens! The first (but not the last) hydroponic greenhouse facility for a New York City public school. Developed by New York Sun Works, architecture by Kiss + Cathcart. A panel created by K+C at Greenbuild 2010, Chicago: From Solar Panels to Lettuce: Evaluating the most Productive Options for Building Envelopes. BQE Enhancement Study: Final public presentation. With Starr Whitehouse. See the New York City Economic Development Corporation web site. Situating Sustainability: Urban Ecology and the Problem of Context. NYU Abu Dhabi convenes a workshop on questions of urban sustainability and the role of place. In Abu Dhabi, November 6-8, 2010. Phase 2 construction begins for Bushwick Inlet Park. Construction webcam is live. High Performance Green Building Salon: Investigating Urban Agriculture. A panel created and moderated by Clare Miflin.